Every restaurant has let some perfectly good food go to waste. Sometimes, it’s hard to avoid; maybe the brunch special wasn’t the hit you anticipated, the chopped tomatoes got lost in the fridge or a customer wasn’t impressed with the soup special. In any case, food waste happens. However, restaurant owners must do their best to prevent it. To someone fresh out of culinary school and jumping into the world of food service, this task might sound daunting. Here are a few simple steps that can reduce waste in commercial kitchens. The first step in reducing food waste at your restaurant is determining how it gets wasted. Consider whether plates are returned to the kitchen filled with rice or vegetables; this could be a sign your portions are too large. Or, determine if there is food you order that never has a chance to make it into rotation. You may want to change your order sizes to ensure you can utilize all food before it expires. Certain items require very specific storage conditions. Refrigerated foods must be stored at 40 degrees Fahrenheit or colder, according to the U.S. Food and Drug Administration. 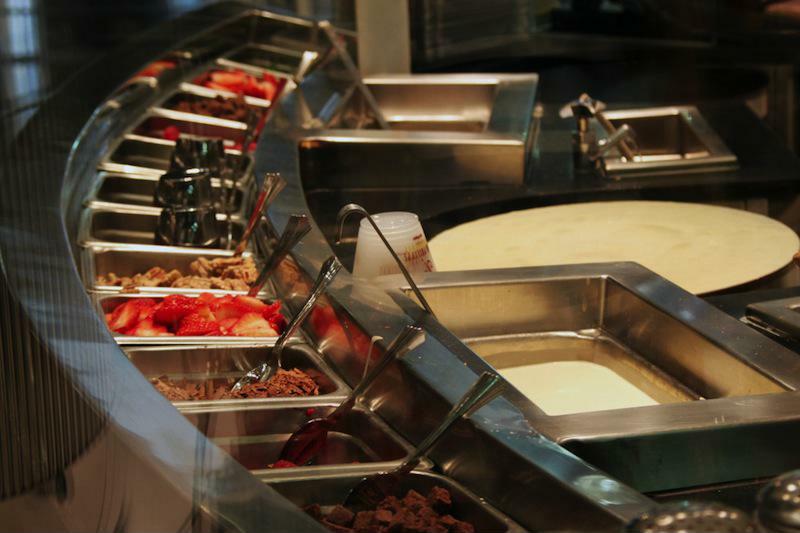 Hot foods, such as those in a buffet line, should be kept at 140 degrees Fahrenheit or hotter; this will prevent harmful bacteria from growing on your food. Always make sure your food is stored at the correct temperature. Always take temperatures of your foods and check the thermometer in your refrigerators and freezers. Spoiled food as a result of careless temperature regulation is easy to avoid. Additionally, alcoholic products like beer and wine should be kept at constant temperatures. Moving beer from the refrigerator to the pantry and back again may result in an unpleasant flavor your customers are sure to remember, The Balance pointed out. Keeping track of how many customers come into your restaurant can help you prepare enough food to serve your guests. Every day, write down the number of guests, the weather and any special events in the community. If you had 300 diners come into your restaurant on Valentine’s Day 2016, anticipate similar numbers for Feb. 14, 2017 as well. However, if your town anticipates a Valentine’s Day snowstorm in contrast to sunny, warm weather the year before, you may consider reducing the amount of food to prepare. All food in your kitchen should be labeled following a consistent system. Make sure everyone on your staff understands and follows the system. Each item should have a date; determine if you want to mark the date it went into the fridge or the last date it can be used by. This helps workers between shifts communicate about which items should be used first and which can stay another day. It also helps you determine when you’ll need to replenish your supply of a particular ingredient. There are times when you have a surplus of perfectly good food but no way to serve it to your customers. For example, perhaps you stocked up on brioche bread to make piles of French toast for a Sunday brunch special. That bread may still be perfectly good on Monday, but you’ll have few customers prepared for a large mid-morning meal. Donate the excess to your local food pantry. Not only is this a good cause, but your customers will appreciate your good deed, too. Some restaurateurs worry that giving away day-old bread that could wind up spoiled puts them in a bad position. However the National Restaurant Association pointed out that the Bill Emerson Good Samaritan Act will protect you against any liability in this situation. Plus, your donation could be tax deductible, saving you money at the end of the year.